***A note about high gloss lacquer. My absolute favorite is Farrow and Ball. They have stopped making their oil based lacquer but the water based one they replaced it with is just as great. It almost makes the walls look wet. I have many clients that have one or two rooms that aren’t in the budget to tackle right away. 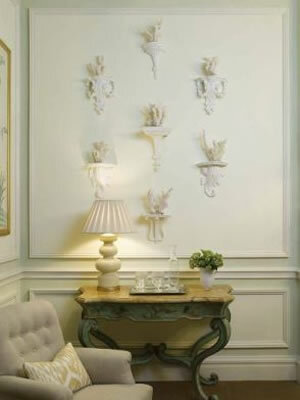 This is a fairly inexpensive way to make a spot fabulous. Paint these empty rooms in a bold color….charcoal grey, mustard yellow…in the high gloss lacquer. Instead of these empty rooms being sluffed off and hidden when guests come by they will be like a movie preview of what is to come…. This is part of Tory Burch’s home featured in Vogue a few years ago. 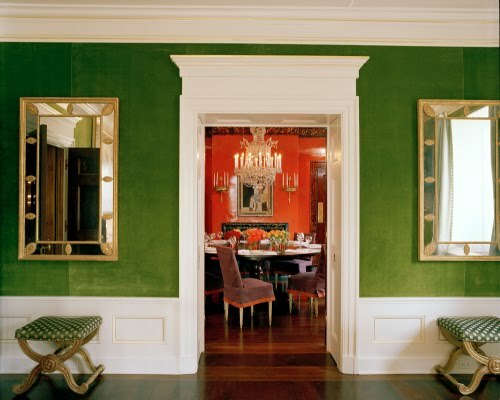 the walls are upholstered in kelley green velvet…yummy! 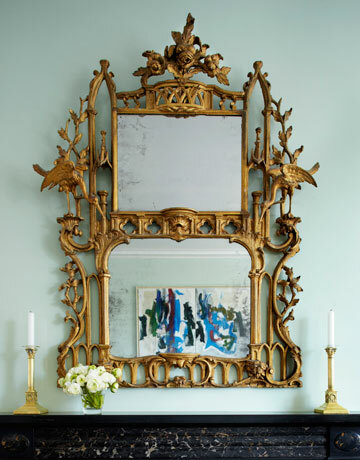 Mirrors are a great alternative to expensive artwork. While I am sure this fabulous one cost a pretty penny there other great ones out there….I love to hunt them down in antique markets. Even piece of coral can become art on your wall. This is from Mrs. Howard, a fabulous site! 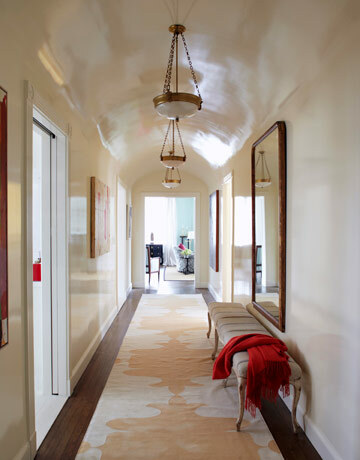 Even the white walls of this hallway fell finishing and luxurious in white lacquer!